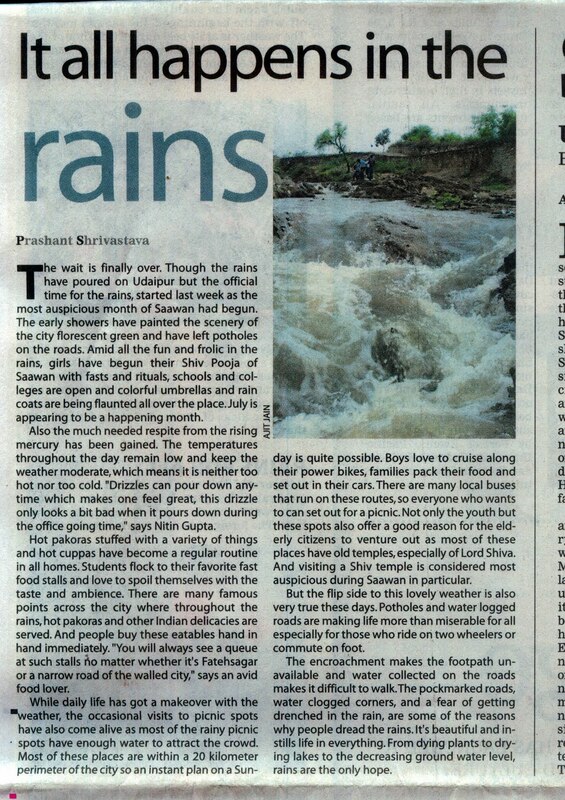 On one hand rain is casting magic on the scenic beauty of Udaipur City of Rajasthan State in India, Potholes and water clogged roads can also be seen all over. But the beauty of the city in rain is on its peak. This is best time to see Udaipur when water is flowing all over, Lakes are rising inch by inch, and blue mountains are being painted lush green by rain. 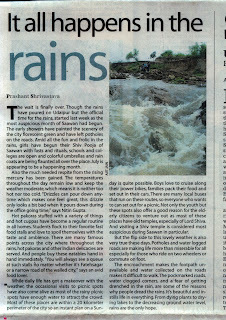 Read this article published in the Udaipur Plus of The Times of India on July 27.